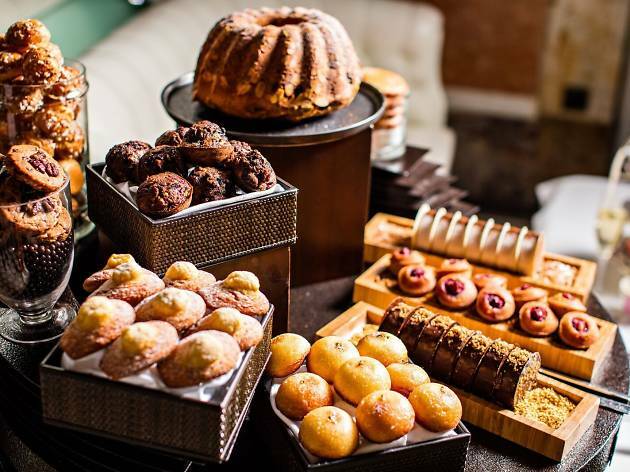 Indulge on Nicolas Paciello’s pâtisserie in an art-deco palace. Picture it: two delicate Earl Grey scones, still warm and served with silky clotted cream. Smear strawberry jam on top and you can practically hear Big Ben’s bells ringing. 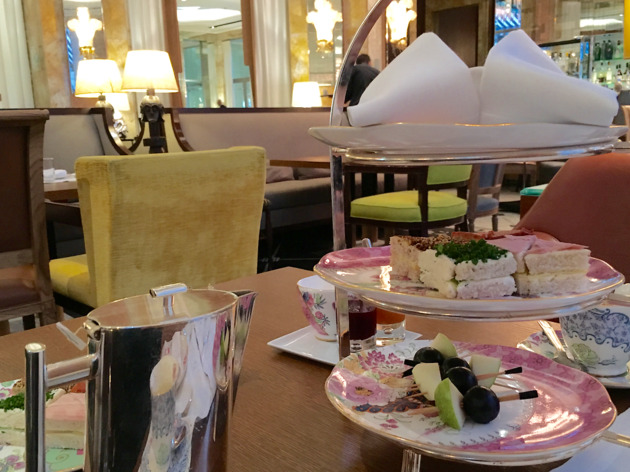 Between 3pm and 6pm (4-6pm on Sundays), the bar at Hôtel Prince de Galles serves afternoon tea English-style (€48) by the chef Stéphanie le Quellec and pastry chef Nicolas Paciello. 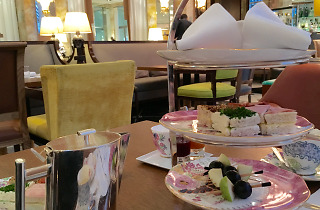 This art-deco style palace serves tea on flowery porcelain and treats come on a three-tiered stand; scones on one level, then a checkerboard of finger sandwiches (with fillings like chicken, tomato and Meaux mustard or ham, butter, comté and cucumber). 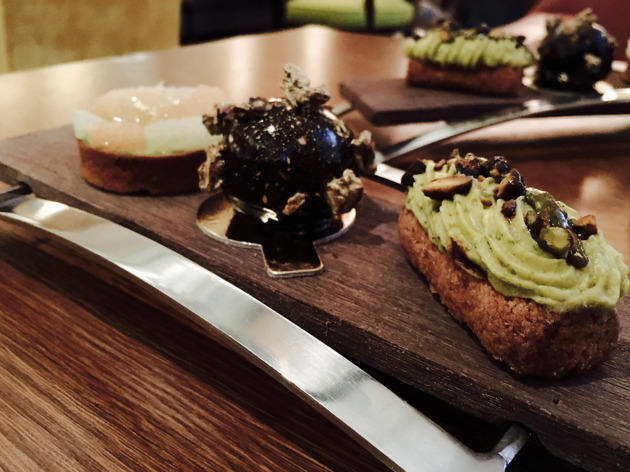 Next up is Nicolas Paciello’s pastry creations: a matcha and grapefruit tart, a praline chocolate dome and an airy pistachio and praline number. 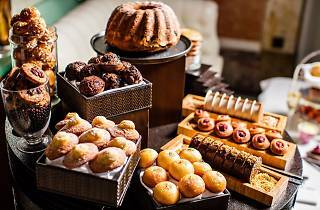 But the real plus is that you can help yourself to pastries and viennoiseries from a trolley, whether it’s crisp-edged madeleine, crunchy palmiers, vanilla cakes and a revisited marbled cake. The chef has called upon his memory of childhood snacks and it’s a real triumph (come hungry, naturally). 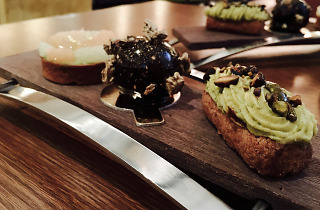 This is a true teatime experience, which is perfectly accompanied by a glass of champagne (€60 plus champagne).